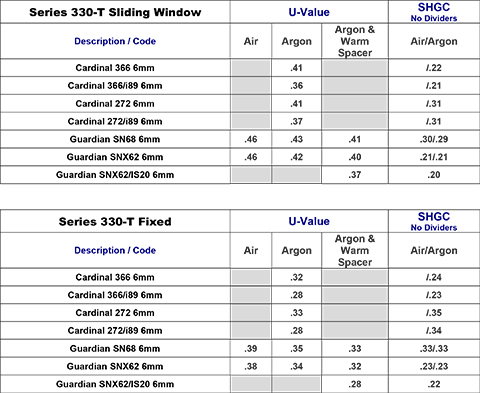 The Series 530-T has the destinction of being Fleetwood’s premier thermal frame sliding and single hung window system. Careful attention was given to the scale of Fleetwood sliding windows. The vertical extrusions were engineered to handle large sizes and retain architectural splendor. It does not take a professional to realize the hidden engineering in each Fleetwood system. The aluminum wall thickness greatly exceeds most, if not all other windows. Any user will immediately experience its sturdiness and palpable luxury when they operate the window. Most windows on the market have screens that jut out from the main frame. Fleetwood’s screens are captured within the frame depth, creating a clean and sleek appearance. Fleetwood’s stainless bearing rollers are closer to sliding door rollers instead of a window. Each window roller is adjustable and is strong enough to handle panels that exceed 500 lbs. 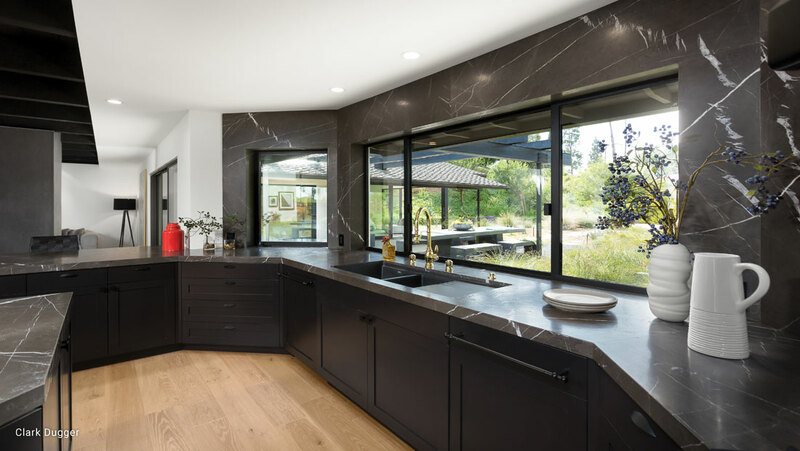 In addition to the custom nature of the internal components, Fleetwood’s sliding window latch is made from cast stainless steel and costs more to manufacture than some windows in their entirety. We believe discriminating customers will value this exceptional latch for its functionality and modern aesthetics. The standard balance system is designed for heavy commercial use, but in Fleetwood’s single hung windows it becomes a hidden luxury item. Fleetwood’s philosophy is, “make it better, not cheaper”. Fleetwood sliding windows only come with stainless steel hardware and assembly screws for longevity and beauty in even the harshest climates. 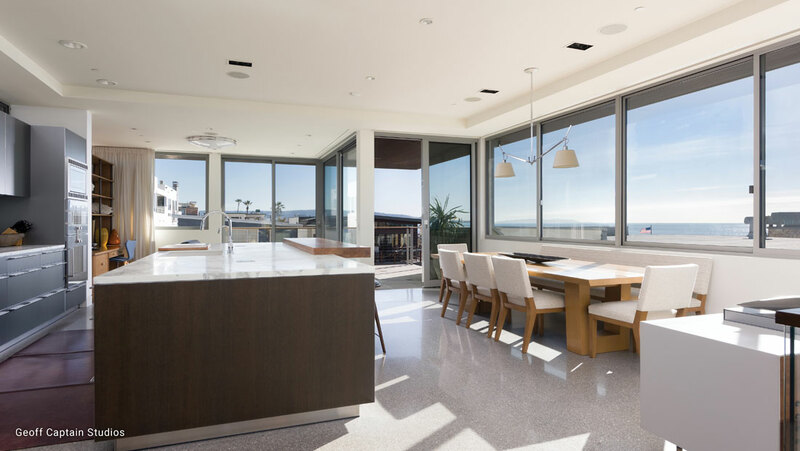 Anodized aluminum finishes dominate contemporary home designs, and for good reason. 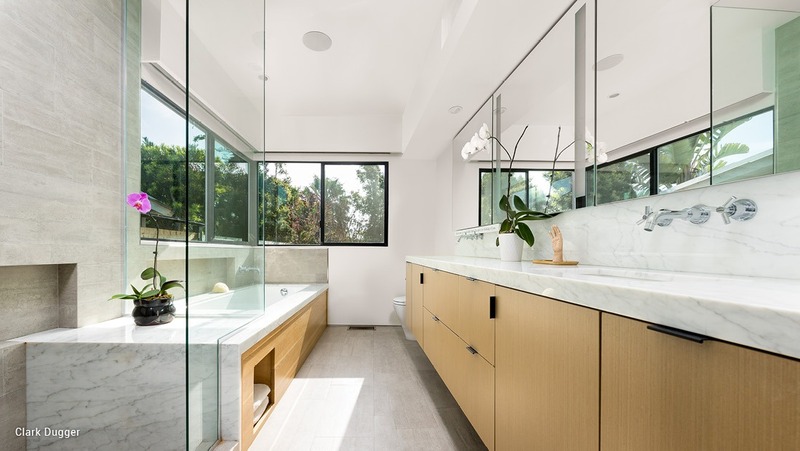 Aluminum finishes are ideal in coastal (or any) environment and Fleetwood products come with an industry leading 12-year finish warranty, regardless of location. Others will nullify or reduce the warranty to 2-3 years on the coast. Single hung windows have balances to hold up the window sash. Fleetwood’s balance is tucked inside the vertical rails so elements such as inclement weather and salt air cannot adversely affect its performance. Thermal extrusions radically reduce the transfer of heat and cold, through the extrusion, by stopping that unwanted energy with a barrier material. Fleetwood uses two methods: Pour/De-bridge and I-Strut. The former process involves pouring polyurethane into an extrusion cavity and removing the underside once the liquid hardens. The I-Strut process involves mechanically joining a polyamide strut to two separate extrusions. Both are proven systems and each offers the Fleetwood Design Team with varying benefits.